A 20-year-old Florida man was responsible for the large data breach at Uber last year and was paid by Uber to destroy the data through a so-called "bug bounty" program normally used to identify small code vulnerabilities, three people familiar with the events have said. Uber announced on 21 November that the personal data of 57 million passengers and 600,000 drivers were stolen in a breach that occurred in October 2016, and that it paid the hacker US$100,000 to destroy the information. But the company did not reveal any information about the hacker or how it paid him the money. Uber made the payment last year through a program designed to reward security researchers who report flaws in a company's software, these people said. Uber's bug bounty service -- as such a program is known in the industry - is hosted by a company called HackerOne, which offers its platform to a number of tech companies. The identity of the hacker or another person whom sources said helped him was unable to be established. Uber spokesman, Matt Kallman, declined to comment on the matter. Newly appointed Uber chief executive, Dara Khosrowshahi, fired two of Uber's top security officials when he announced the breach last month, saying the incident should have been disclosed to regulators at the time it was discovered, about a year before. It remains unclear who made the final decision to authorise the payment to the hacker and to keep the breach secret, though the sources said then-CEO Travis Kalanick was aware of the breach and bug bounty payment in November of last year. Kalanick, who stepped down as Uber CEO in June, declined to comment on the matter, according to his spokesman. A payment of US$100,000 through a bug bounty program would be extremely unusual, with one former HackerOne executive saying it would represent an "all-time record." Security professionals said rewarding a hacker who had stolen data also would be well outside the normal rules of a bounty program, where payments are typically in the US$5,000 to US$10,000 range. HackerOne hosts Uber's bug bounty program but does not manage it, and plays no role in deciding whether payouts are appropriate or how large they should be. HackerOne CEO, Marten Mickos, said he could not discuss an individual customer's programs. "In all cases when a bug bounty award is processed through HackerOne, we receive identifying information of the recipient in the form of an IRS W-9 or W-8BEN form before payment of the award can be made," he said, referring to US Internal Revenue Service forms. According to two of the sources, Uber made the payment to confirm the hacker's identity and have him sign a nondisclosure agreement to deter further wrongdoing. Uber also conducted a forensic analysis of the hacker's machine to make sure the data had been purged, the sources said. One source described the hacker as "living with his mom in a small home trying to help pay the bills," adding that members of Uber's security team did not want to pursue prosecution of an individual who did not appear to pose a further threat. The Florida hacker paid a second person for services that involved accessing GitHub, a site widely used by programmers to store their code, to obtain credentials for access to Uber data stored elsewhere, one of the sources said. GitHub said the attack did not involve a failure of its security systems. "Our recommendation is to never store access tokens, passwords, or other authentication or encryption keys in the code," that company said in a statement. Uber received an email last year from an anonymous person demanding money in exchange for user data, and the message was forwarded to the company's bug bounty team in what was described as Uber's routine practice for such solicitations, according to three sources familiar with the matter. Bug bounty programs are designed mainly to give security researchers an incentive to report weaknesses they uncover in a company’s software. But complicated scenarios can emerge when dealing with hackers who obtain information illegally or seek a ransom. Some companies choose not to report more aggressive intrusions to authorities on the grounds that it can be easier and more effective to negotiate directly with hackers in order to limit any harm to customers. Uber's $100,000 payout and silence on the matter at the time was extraordinary under such a program, according to Luta Security founder Katie Moussouris, a former HackerOne executive. "If it had been a legitimate bug bounty, it would have been ideal for everyone involved to shout it from the rooftops," Moussouris said. Uber's failure to report the breach to regulators, even though it may have felt it had dealt with the problem, was an error, according to people inside and outside the company who spoke to Reuters. 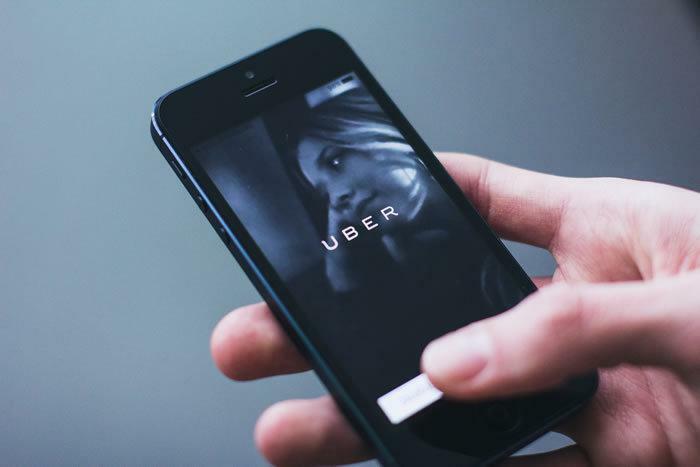 "The creation of a bug bounty program doesn't allow Uber, their bounty service provider, or any other company the ability to decide that breach notification laws don't apply to them," Moussouris said. Uber fired its chief security officer, Joe Sullivan, and a deputy, attorney Craig Clark, over their roles in the incident. "None of this should have happened, and I will not make excuses for it," Khosrowshahi, said in a blog post announcing the hack last month. Clark worked directly for Sullivan but also reported to Uber's legal and privacy team, according to three people familiar with the arrangement. It is unclear whether Clark informed Uber's legal department, which typically handled disclosure issues. Sullivan and Clark did not respond to requests for comment. In an August interview with Reuters, Sullivan, a former prosecutor and Facebook security chief, said he integrated security engineers and developers at Uber "with our lawyers and our public policy team who know what regulators care about." Last week, three more top managers in Uber's security unit resigned. One of them, physical security chief Jeff Jones, later told others he would have left anyway, sources told Reuters. Another of the three, senior security engineer Prithvi Rai, later agreed to stay in a new role.